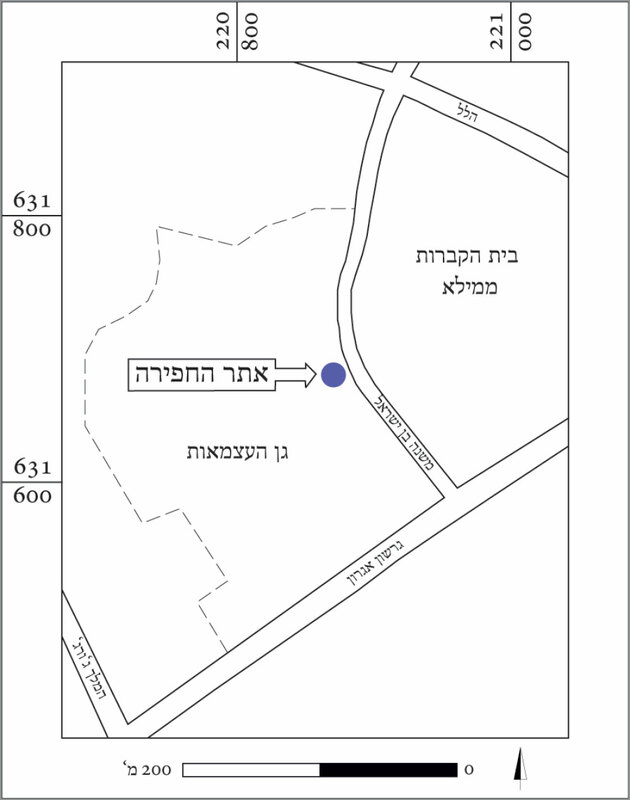 In May and October 2012 an archaeological excavation and educational project was carried out in the cemetery of Mamilla (now part of Independence Park) in Jerusalem. The project team included students from the Experimental High School in Jerusalem, under the direction of archaeologists Gideon Suleimany and Yonatan Mizrahi. The endeavor was made possible by the sponsorship of Friends of the Earth, while the Nelson Glueck School of Biblical Archaeology provided academic oversight and logistical support. The water cistern was one of several features carved in the bedrock at this location, dating back at least to the Roman period. Our excavations revealed three phases: Phase 1: a two-level tomb accessed by a stonecarved staircase which led down to a central chamber, from which branched off several other chambers. This phase was badly disturbed by quarrying which took place during the two subsequent phases of the site. The tomb probably dates to the Late Roman or Byzantine period, although no diagnostic artifacts were recovered. Phase 2: the tomb was converted into a water cistern. Much of the original plan was destroyed, resulting in a large, irregularshaped cavity – i.e., the cistern. The artifacts from this phase appear to date to the Ottoman period. Phase 3: the eastern part of the cistern was converted into a habitation area, the partition walls of which were extant At this time the use of this feature as a cistern was discontinued. This phase was modern, dating to the last 100 years. A great many hypodermic needles and (stolen?) personal documents indicate that this underground space provided shelter to drug addicts.